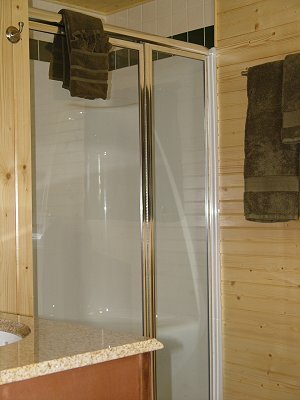 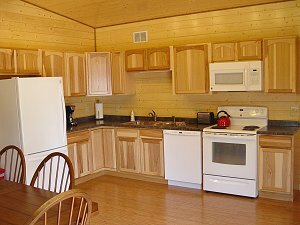 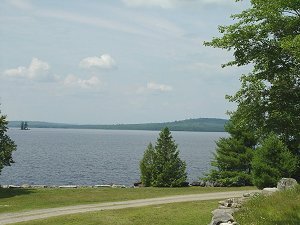 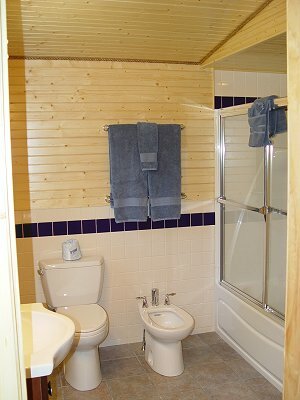 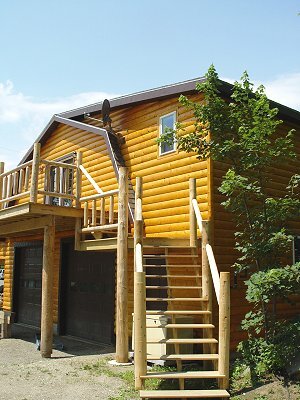 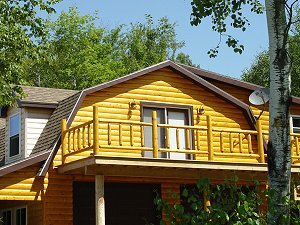 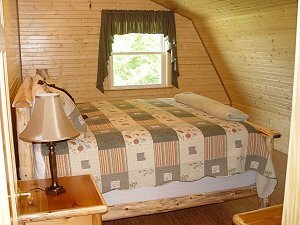 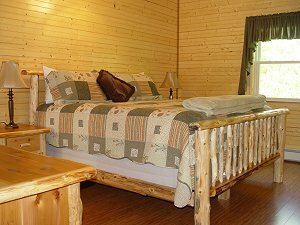 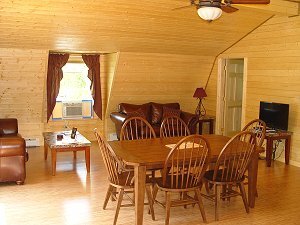 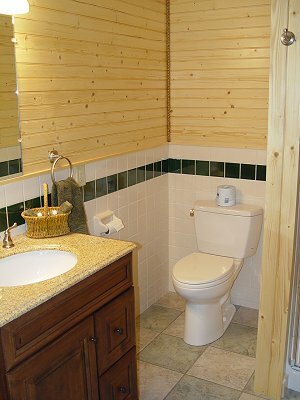 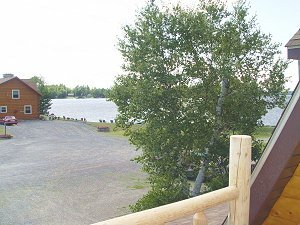 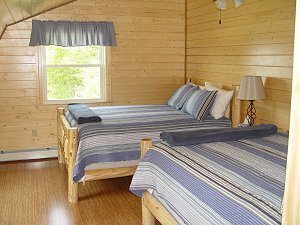 The Eagle's Nest Loft is a private two-bedroom vacation rental located on the waterfront of South Twin Lake, next to 5 Lakes Lodge. 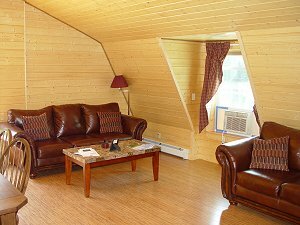 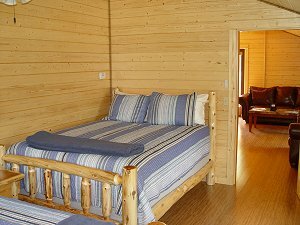 The "Loft" is styled as an extension of the luxurious rooms at 5 Lakes Lodge, and is similarly finished in genuine Russian spruce. 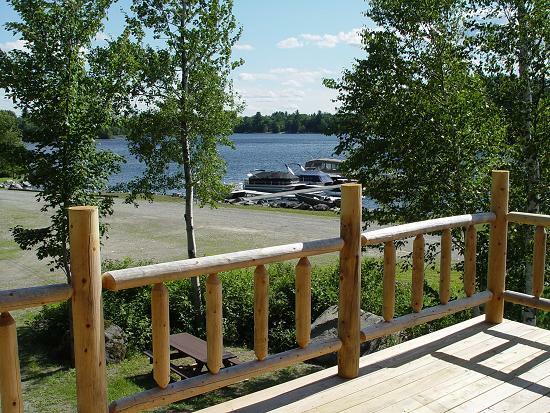 As shown above, Eagle's Nest Loft has en elevated deck overlooking our marina facility on South Twin Lake.